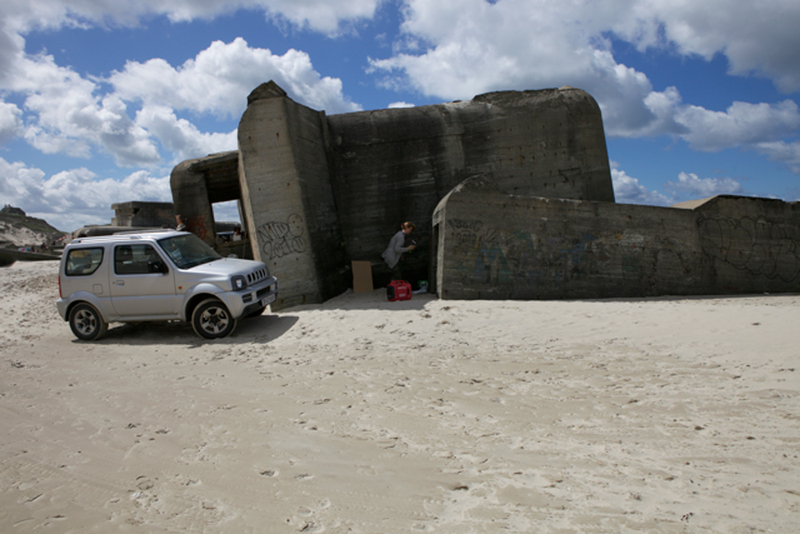 Slow-wave Sleep is the work of multimedia artists Inge Tranter (DK/ ZA) and Meile Sposmanyte (DK/ LT) for BunkerLove 2012. 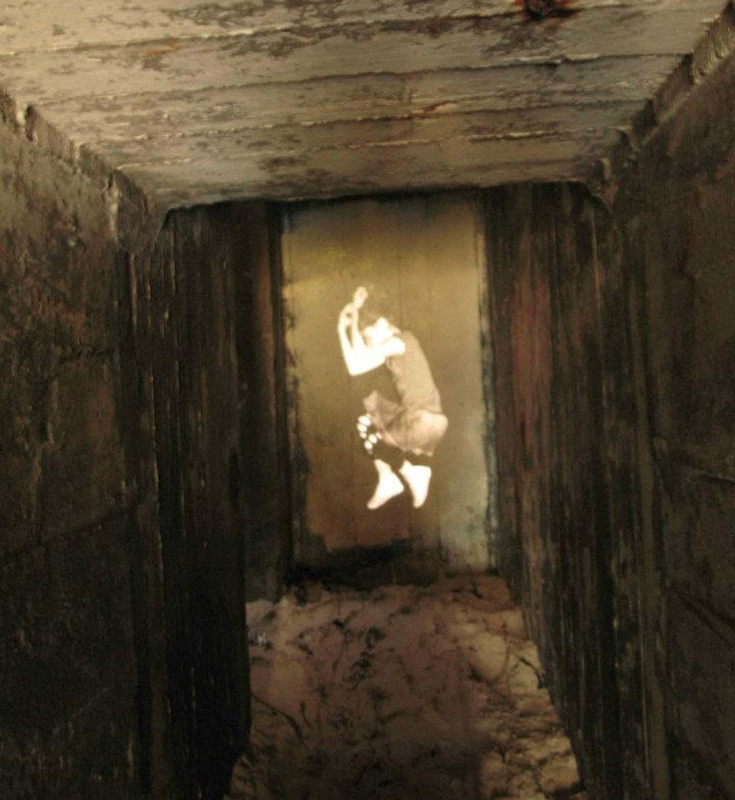 The duo responded to the small niches in the bunkers, the tunnels, holes, nooks and crannies and the dark, secret spaces contained within the imposing solidity of the constructions. They presented a film installation of a person in a restless sleep which is akin to the state of occupation. The mind and body function but have lost control, dreaming of action, but unable to effect it. 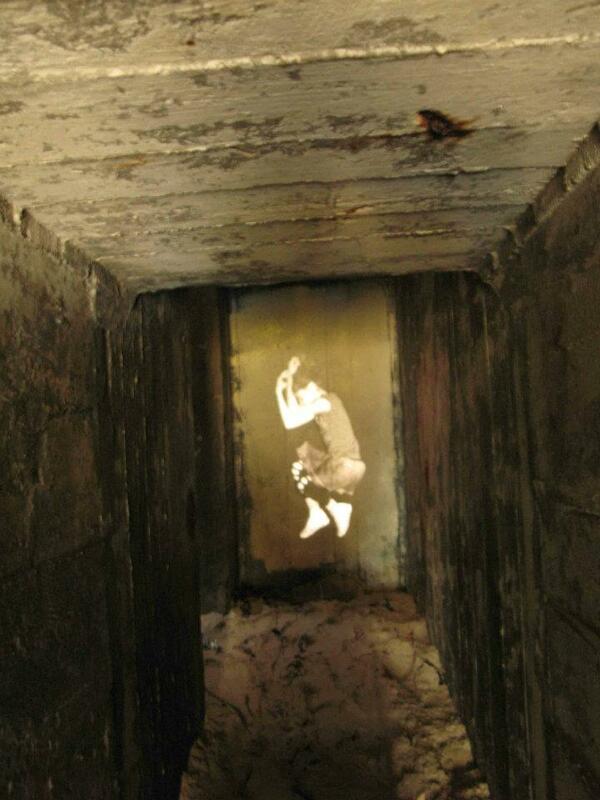 The film was projected into a dark bunker tunnel at the bunker battery of Furreby beach, North Denmark. 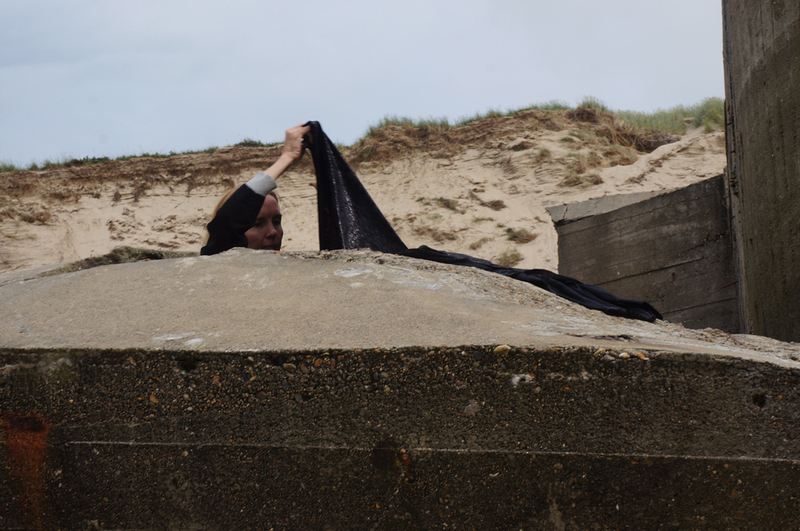 ”In these small, crooked spaces, some of which have become squeezed and diminished by the sinking and tilting of the bunkers as they descend into the sand, there is a vulnerability, and the dimensions of the human being. This tilting is like the tilting of the body in the sleep process. Somewhere between the states of wakefulness and sleep, between the conscious and the unconscious. The state of sleep is akin to the state of occupation, where the mind and body are no longer completely in control. They function, but on a very limited, impotent level, dreaming of action, but unable to effect it. This is much like the state of a country under occupation, where the day to day activities still take place, but in the control of an occupying force. 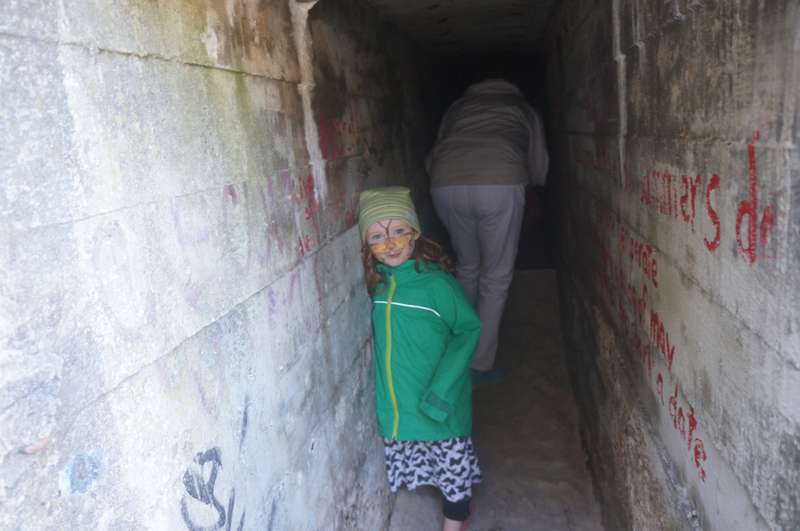 The bunkers are a potent symbol of this occupying force. Video showing the installation. The photos below are from the preparations and introduction. 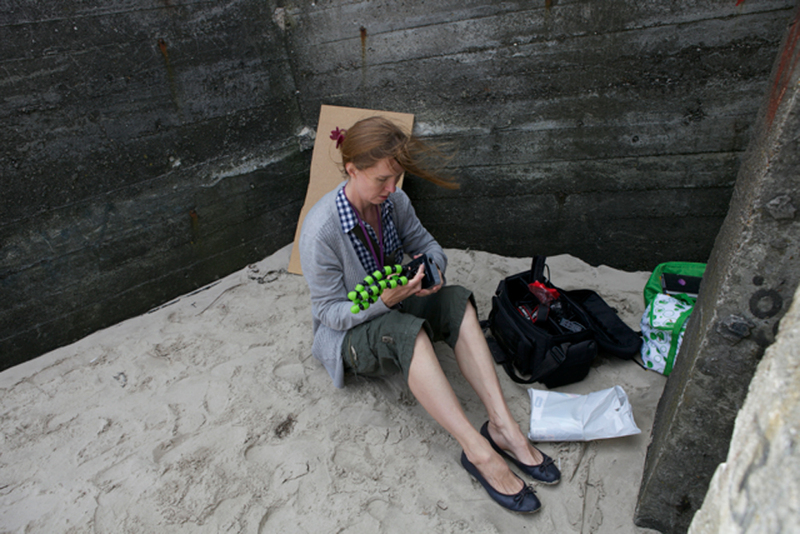 Inge Tranter and Meile Sposmanyte both exhibited at ALERT BunkerLove Festival 2013, which took place in the Hirtshals bunkers, July 7, and was coordinated by Inge Tranter. For the festival Inge created A Cottage for Yemanja and Meile Sposmanyte created 111 Buddhas. Since March 2013 Inge Tranter has been a part of BunkerLove’s board.